Ron Helus lived in Moorpark, California with his wife and child. VENTURA COUNTY, Calif. -- Sgt. Ron Helus was shot and killed while trying to stop an active shooter at a bar in California. 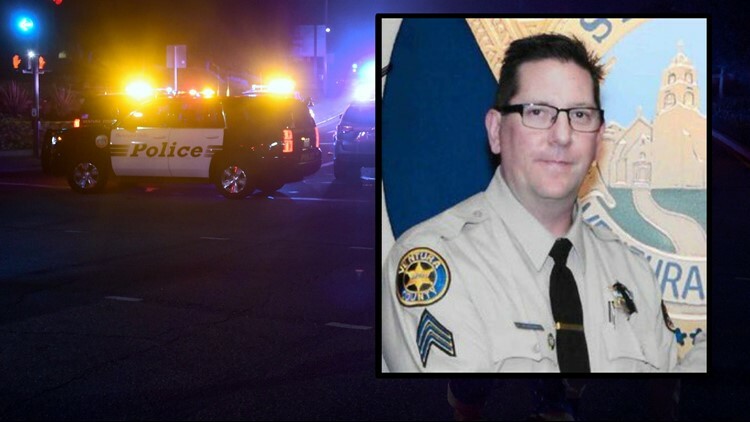 Helus, a member of the Ventura County Sheriff's Office, was the first law enforcement officer to respond when gunfire broke out late Wednesday night at Borderline Bar & Grill in Thousand Oaks, California. He and a California Highway Patrol officer went inside. There, Helus was shot multiple times. The other law enforcement officer helped get him out and secured the scene. Helus died at the hospital. "Ron was a hardworking, dedicated sheriff's sergeant," Ventura County Sheriff Geoff Dean said. "He was totally committed. He gave his all. And tonight, as I told his wife, he died a hero because he went -- he went in to save lives, to save other people's lives." Sgt. Helus was a 29-year veteran of the sheriff's office and considering retiring within the next year. He lived in Moorpark, California with his wife and son.